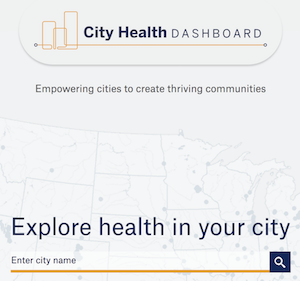 The National Resource Network, part of the White House Initiative on Strong Cities, Strong Communities (SC2), along with NYU Langone Medical Center and NYU’s Robert F. Wagner Graduate School of Public Service have launched the Municipal Health Data for American Cities Initiative. With funding from the Robert Wood Johnson Foundation, NYU will be developing a first-ever dashboard for essential health data for U.S. cities. Four cities – Flint, Michigan, Kansas City, Kansas, Providence, Rhode Island and Waco, Texas – will work with NYU to pilot the effort. The Municipal Health Data for American Cities Initiative will frame federal and county data at the municipal level, extract key benchmarks that are embedded in existing city-level data, and create entirely new indicators through big data and social media activity. Health measures will be developed based on input from city leaders, federal data providers, data experts at NYU’s Center for Urban Science and Progress (CUSP), and other experts in urban health metrics. The list of measures will be finalized by this spring and an interactive website will be available this fall. The four cities were selected for the pilot project in part because of their participation in the National Resource Network or other parts of the federal SC2 initiative and their commitment to addressing local health challenges. The cities will work together as a peer network and help to inform the process and ensure that the metrics selected for inclusion in the dashboard are useful, innovative and actionable for city leaders.